Congratulations to Dr. David Proctor on the completion of a Doctor of Ministry in Preaching and graduation from Union University. Dr. Proctor pastors Emmaus Baptist Church in Lakeport, Texas and teaches several classes at TBI including: World View Studies, Hermeneutics, Speech, Homiletics, History of Preaching, Expository Preaching and Galatians. 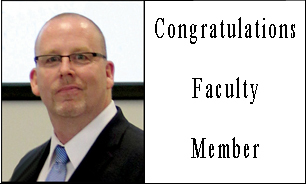 He is an integral part of the TBI faculty. TBI is very proud of you and thankful for you.